So today in Melbourne Nicolas Almagro (world number 11) stood on the verge of his first grand slam semi-final, up two sets to love and serving for the match at 5-4 he failed to close it out. He also had two more chances to serve for the match in the fourth set, yet lost to David Ferrer in five sets. That Almagro had a 0-12 record against Ferrer and had missed match points against him in Madrid and Cincinnati previously might well have been playing on his mind. The 12-0 record was almost certainly a factor in Ferrer being able to come back and win, despite his play being error strewn through much of the match. Belief is such a major factor in determining outcomes, just as is fear, uncertainty and doubt (but more of that in a later post!). A Spanish tennis coach provided an anecdote last year of when he was working with an up and coming player and came with him to England for the grass court season. He invited a friend who was coaching in Germany to accompany him. 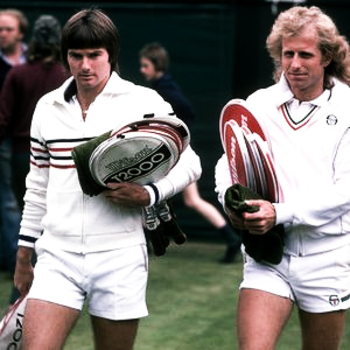 After a couple of weeks the friend observed “how is he going to believe he can win against the top players if you don’t?” The coach agreed that he had been guilty and subsequently was able to change and the player made substantial and rapid improvement in his ranking. So it is not just our own belief but those around us that affect us. Last week, after losing to Federer in the third round, Bernard Tomic commented in his post match interview that he had tried to put out of his mind who was on the other side of the net but that it was extremely difficult, especially as in introducing the players they mention all the slams that Federer has won. The very top players almost always believe they can and will win. There are exceptions, clearly at times Nadal has got into Federer’s head, even when Federer is playing exceptionally well. 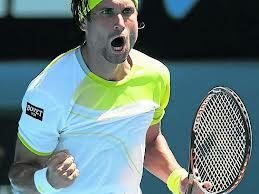 Going back to Ferrer, his persistence is a factor against most players. His opponents know that he is phenomenally fit and will run down every ball and not give up until the last point is won. If there is this underlying belief then it is difficult to get teams to believe that they will and should deliver on time. Though it can be turned around but only if those leading the change believe what is planned is achievable and convey this regularly to team members and stakeholders, ensuring all are aligned.